While many watches were made simply for telling time, the same cannot be said about tactical watches – they can be used for military missions and so much more. Tactical watches have a wide array of features that include both analog and digital – it not only assists in the timing, but it can also help with the precision required for the success of security and military operations. Most military and security personnel use these watches in order to tell the time, temperature, height, depth, sense of direction and many other things. Even if you’re just a normal person, who knows when a survival situation may arise – this is something that could happen within a blink of an eye, so as humans, we should always be on the lookout for ways to increase our preparedness. Of course, you’re probably not going to be able to carry all of your survival gear with you on a daily basis. Therefore, you need to try to find lightweight gear that has multiple functions for it – gear that you can discretely carry and keep with you throughout your day. With so many features and benefits, tactical watches are a great survival tool that is worth investing in. The tactical watch is one of the most impressive forms of wearable technology currently on the market and for good reason. They have so many practical uses and specialized functions, so they are capable of supplying you with a wide array of information to help you survive. Starting out, it’s a watch, so they will obviously help you tell the time. With tactical watches, you will be able to tell the time wherever you are. This is great for security and military personnel, because they have a tendency to get assigned to different parts of the world, where they will be encountering multiple time zones. 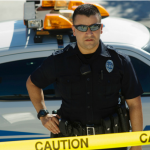 By using a tactical watch, the personnel will be able to know the time in the particular location they are assigned in without having to do any calculations. Tactical watches are capable of offering accurate countdowns. This provides just enough synchronization for teams that may be in the field in order to ensure success in all operations. The alarms are another benefit of tactical watched. Alarms will allow the user to set times for special reminders and occasions. 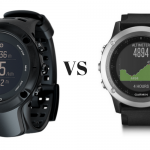 Most tactical watches on the market have features that will help individuals stay properly oriented – this includes depth meters and altitude measurements. Compasses are another feature that you will find on most tactical watches. Yes, tactical watches are able to provide this feature. If there are multiple people working together, synchronization can be a pretty big challenge. The best tactical watches will be able to help team members work together and coordinate during special operations and crucial events. This is useful when there are multiple team members that have no clear visual or audible contact with one another. Tactical watches are super strong and built in a way so that they can stand up to the elements. They can survive even the most rigorous activity. 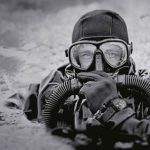 Depending on the type of tactical watch you decide to get, there are some out there that have extra features that will help you deal with special situations like parachuting, diving and high impact activities. So, if you are the type of person that goes under water or jumps out of planes, you should look for one that offers those special features. Typically, the face of the watch will be made of a scratch/shatter/resistant material. Some may be made of mineral crystal, while others are made of sapphire. As far as the bevel and casing goes, stainless steel is the common material used due to the durability it is able to offer. The bands are available in a variety of different styles of materials, including rubber, steel and nylon. Each type of material has its own special advantage that you need to take into consideration when you’re buying one. Regardless of how you stack it, one of the biggest benefits of tactical watches would be the fact that they are able to stand up to the elements. Most tactical watches have an integrated compass to help you find your way. Some have an actual button compass that has been integrated into the watchband, while you have others that use an analog or digital compass display. If you’re looking for more precise navigation outside of a compass, you may want to get a watch that has a digital GPS readout. Through the GPS, you will be able to tell exactly where you are. If you need to record or share your specific location coordinates, this can be an extremely helpful feature – this is great for locating a camp, search and rescue or coordinating a gathering point. If you spend a large portion of time in remote areas, you may want to go for a watch that has the GPS feature built into it. Could you imagine wearing something that is capable of monitoring your health? For daily use, the heart rate monitor can be used in order to track your activity. We personally believe this is a useful feature when it comes to fitness training, but on the same note, it has survival applications. Unless you are able to pack a stethoscope in your bag and tote it around you, you’re not going to have a heart rate monitor. A heart rate monitor is a good thing when you or someone with you is severely injured – with this tactical watch, you will be able to monitor their heart. For conditions such as loss of blood, disease, and shock, keeping track of an individual’s heart rate and being alerted to decelerations and accelerations can be life-saving. So yes, tactical watches also have the ability to help save a life, which is a big benefit within itself. On another note, if you are going to a high-altitude region, an altimeter will help keep up with your health. You see, altitude sickness can pop up if you are 8000 feet above sea level. If this goes untreated, it could cause death. The first warning signs of altitude sickness include nausea, headache, and fatigue – those are symptoms that you should never look away from. There can be breathlessness, which is caused by fluid in the lungs and this can be accompanied by fever and a cough. Clumsiness, drowsiness, and irritability are signs of fluid on the brain and that is known as High Altitude Cerebral Oedema. Each of these conditions will be fatal. Therefore, it is important that you monitor your altitude. Some tactical watches even have a thermometer built into them – this can help make sure your shelter is warm enough. For humans, the general safe temperature will range from 40F to 95F. If you were to spend a long time in the cold, it could result in hypothermia. If you spend too much time in hot temperatures, it could result in hyperthermia. So, being aware of your exact temperature will help you make decisions that will favor your survival. 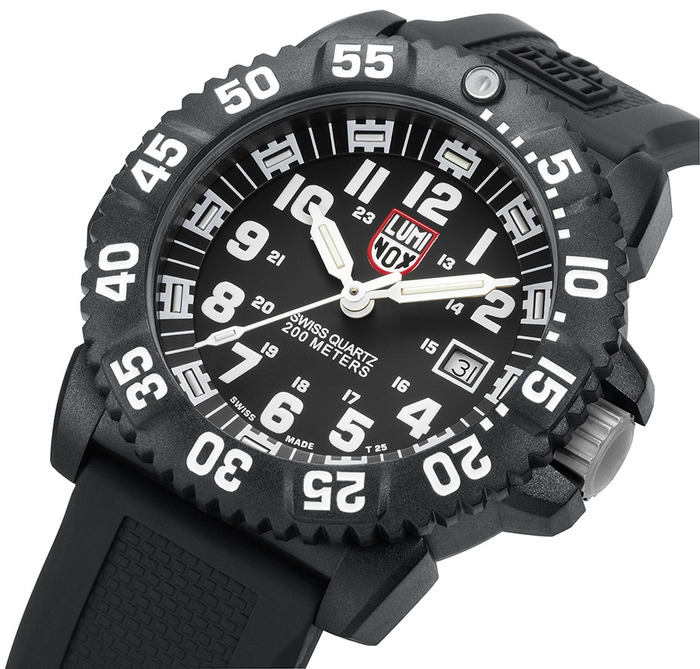 Tactical watches are designed to meet the needs of extreme sports enthusiasts and security forces. There’s no such thing as a “perfect” tactical watch because we all have different needs. There are some qualities, however, that are critical regardless of who we are and what we are using the watch for. In this portion of the guide, we are going to tell you about the most important features you need to look for when you’re choosing this piece. A good timepiece should remain fully functional for years to come – it should be able to withstand years of rubs, impacts and everything else related to intense, outdoor activity. Also, on another note, the crystal should remain unscratched, otherwise, reading the watch could be difficult. This is why it is important that you do not compromise on the materials that make up the watch. As far as the materials go, make sure you get something that has a lens that is made of Sapphire – Corundum. This is secondly only to diamonds and is one of the hardest and most scratch-resistant minerals out there. Don’t worry, it’s relatively affordable. 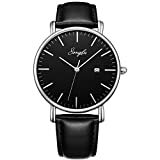 There are some other durable materials out there, like high-grade stainless steel – that is a good choice, but if you’re allergic, ceramic made and polymer-plastic watches are also common. It is important to realize that if the entire piece is put together poorly, the materials that compose the watch isn’t going to matter one bit. When you are looking for a tactical wristwatch, you should check that it has been tested under extreme conditions. This is why you should buy from a reliable brand. You should definitely avoid going mechanical, because accuracy is important, especially if you are using the watch to coordinate moves with other people. Yes, mechanical watches are important and have a tendency to be more fashionable-desirable, but they are exactly the most accurate piece you’re going to find on the market. Plus, mechanical watches are more sensitive to shocks and heat. In regards to water and pressure resistance, you should aim for at least 10ATM (atmospheres). These are pressure units that represent the amount of pressure the watch is able to withstand. Take a 3ATM watch as an example – it will be able to endure pressure that is the equivalence to that which exists under 30 meters of water – 1000 feet. Take note that ATM isn’t a measure of death. For example, when you’re in the shower, pressure that is greater than the 3 ATM could be applied. You shouldn’t even go snorkeling with a 5ATM resistant watch on because it probably won’t survive. 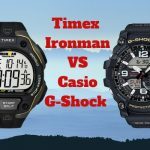 With all of those thoughts in mind, it would be best if you go for a tactical watch that is at least 10ATM – this way, you won’t have to worry about taking it off if you plan on going in the water. Military operations or outdoor activity doesn’t pause at night – this is something that takes place 24 hours. Therefore, being able to read the watch in the dark is important. For this reason, you need to look for one that has a backlight button on it. If you can find one that mildly glows on a continuous basis, that’s even better as it will make time reading easier. 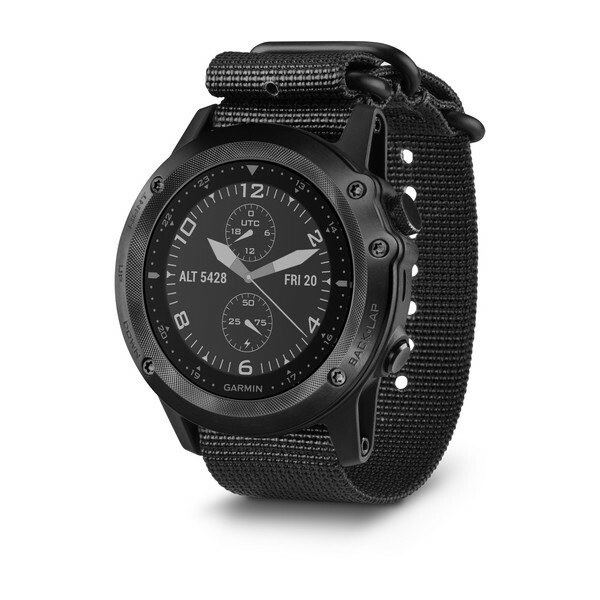 This is by no means a definitive list of the top tactical watches. We have picked some of the best brands and watches with different price points and features. This means that you can find a watch that meets your budget and requirements. 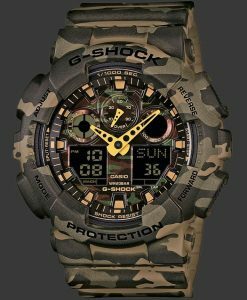 Some of the brands have wide product ranges of quality tactical and military watches. Where this is the case we have picked one or two that are of an exceptional value. 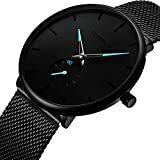 This watch right here is your lowest price option, but don’t let that fool you because the price is the only cheap aspect about this watch. 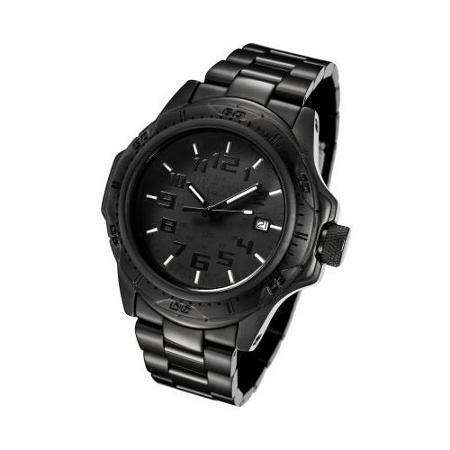 With this watch right here, you get a high-quality tactical watch at a budget-friendly price. On the case of the watch, there’s a nice Humvee logo that has been engraved and an olive nylon strap that is responsible for keeping the watch on your wrist. The watch, as with most tactical watches, has been designed for active, outdoor lifestyles as it can withstand harsh conditions. As far as water goes, it is water-resistant up to 150-feet and can withstand recreational scuba diving. It features a scratch resistant face display that protects the electronic back glow light. 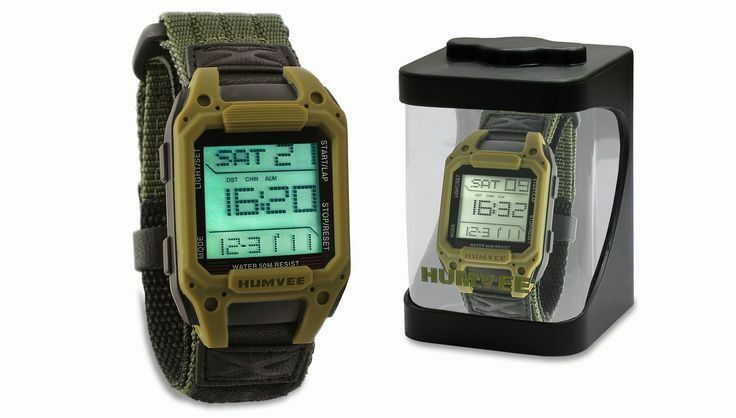 If you’re looking for a good watch and you’re on a low budget, then the Humvee Recon would be a great option. Your next adventure isn’t going to be complete without a tactical watch. 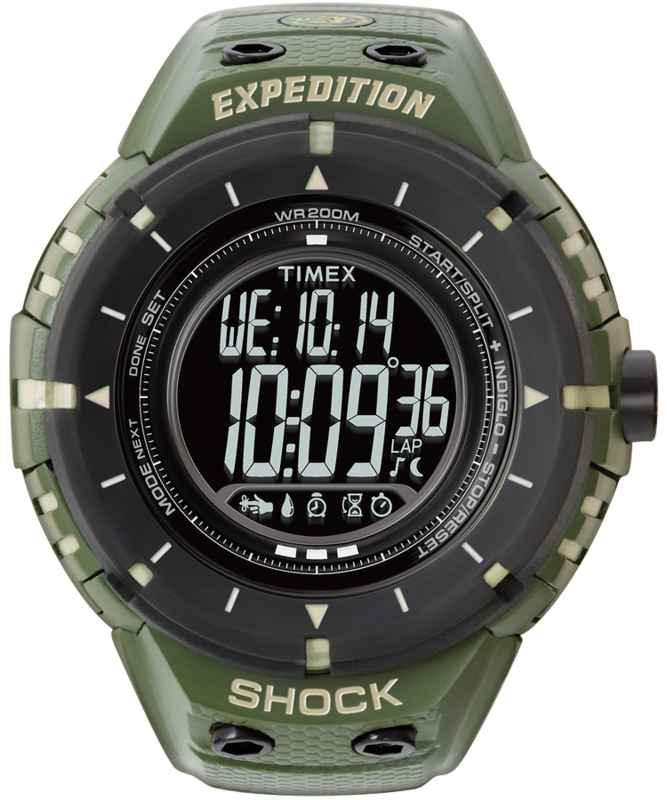 For a couple dollars more, you can go for the Timex Expedition Shock Digital Compass Watch. This watch sports a bold display that is easy to read and it is shock resistant to I.S.O standards. 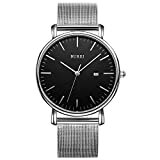 The nylon strap is comfortable and light in weight, but at the same time, the watch is durable with a reliable buckle that ensures it will stay on your wrist during those outdoor activities. As far as water use goes, this watch is water-resistant up to 660 feet. Generally speaking, it is suitable for serious water sports and professional marine activity. However, it is not suitable for scuba diving. If you are on a budget and don’t plan on scuba diving, this would be another good option for you. If you’re looking for a budget but quality watch then you should definitely go take a look at it. 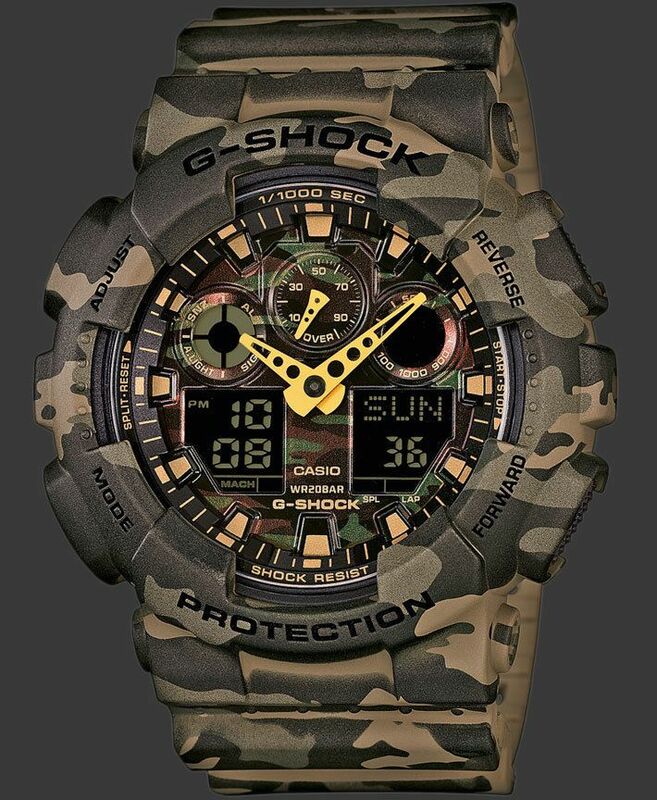 The G-Shock watch is available in numerous style, including black, camouflage and a camouflage watch face, each one, having a different price tag, but if you have some extra money to spend, this would be a great choice. When you put this watch on, you’re going to see how amazing it looks. Regardless of which three you choose from the series, it’s going to look pretty stealthy. The negative display is simple to ready and if you don’t want to turn the light on, it has auto light. The hands for the clock is easy to read as well. One reviewer stated the only downfall to this watch was the fact that it wasn’t solar powered, but that’s no big deal – if you’re looking for a stealthy watch, one of these would be a good choice. This watch also has a total of five daily alarms, a 12/34 hour format, and a full auto calendar. Also, we must add that this watch is water resistant up to 660 feet. Generally, it is suitable for serious surface water sports and professional marine activity, but it’s not good for scuba diving. If you plan on going scuba diving, you need to go for a watch that is designed for scuba divers. We personally like the woodland camouflage pattern because it fits in good with today’s street fashion scene. A multi-angle printing technology has been applied to these watches in order to create the case and band patterns of these models. It has all of the functions it claims to have and it is easy to set and use. If you’re currently in the market for a tactical watch, you should consider this one. 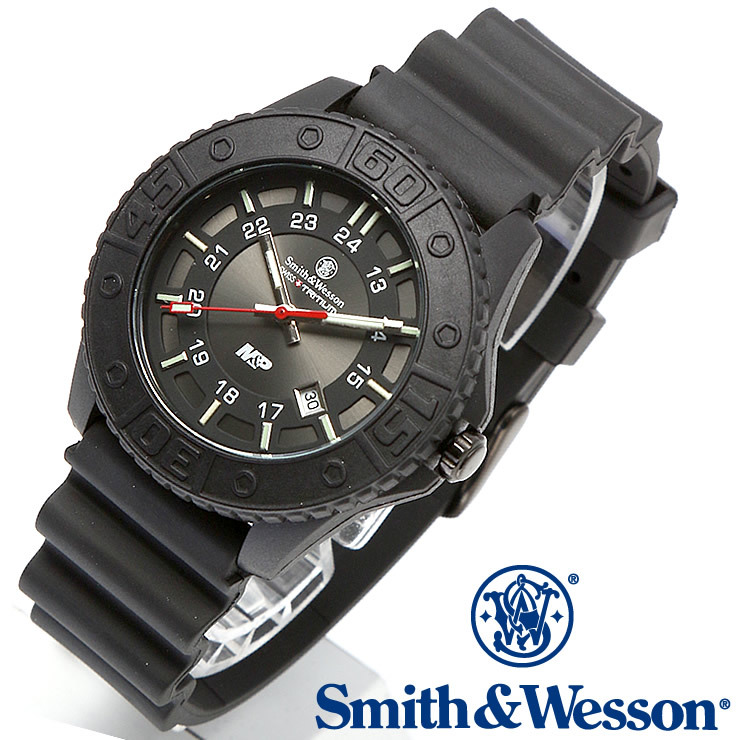 The Smith & Wesson SWW-MP18-BLK M&P Tritium H3 Watch is a nice watch that has been designed for the fast pace police and military lifestyle. It consists of a dial that can be looked at in the darkness. 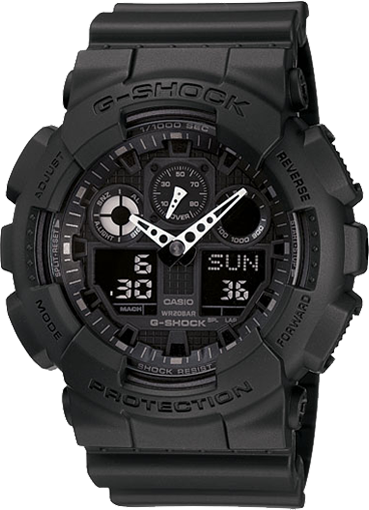 It has been designed with a black lightweight poly case and a rotating timing bezel. This tactical watch has precision quartz Japanese movement, silver hands for hours and minutes, a red hand for seconds and calendar date. This watch is equipped with a tritium light source that has been sealed under pressure – it’s water resistant up to 330 feet. It can withstand oil and most corrosive materials, making it last for 20+ years with a constant glow. With all of these nice features, the Swiss Tritium H3 is an absolute must have in the safety, emergency and protection sectors. It’s also great for fans of sports, adventure and those that are in the armed forces. The watch also includes a nice rubber strap and a dial with white numbers. 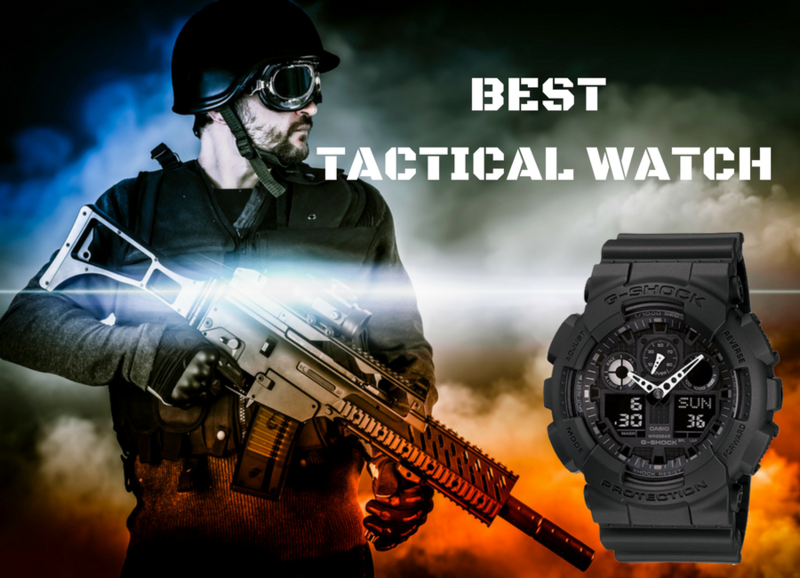 The Casio Men’s GW-9400-1CR Master of G Digital Quartz Black Solar watch is great for those that are looking for the ultimate tactical watch – you can get it for a little under $200, which isn’t that bad of a price for a watch like this. This watch was designed with a dream of creating a watch that never breaks. The design team was looking to make a watch that was capable of surviving a 10-meter free-fall, a 10-year battery life, and a 660 feet water resistance …that is when this watch was born. This is one of the most tough and rugged timepieces on the block. 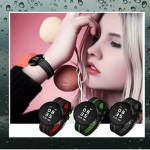 It has a Shock Resistant Triple Sensor, which makes it possible of keeping barometric pressure, altitude, direction and temperature readings all on your wrist. 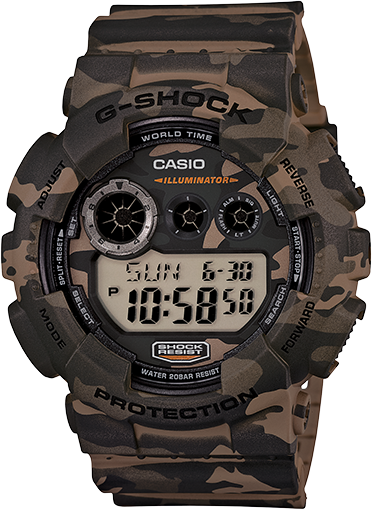 Along with all of this, you will receive one-touch time recording, sunrise/sunset data, and world-renowned G-shock toughness and durability. The black resin band with black face and red accents makes it look stylish. With all of these amazing features, this watch would be the perfect choice for rescue crews, rangers, and anyone else that loves the outdoors. 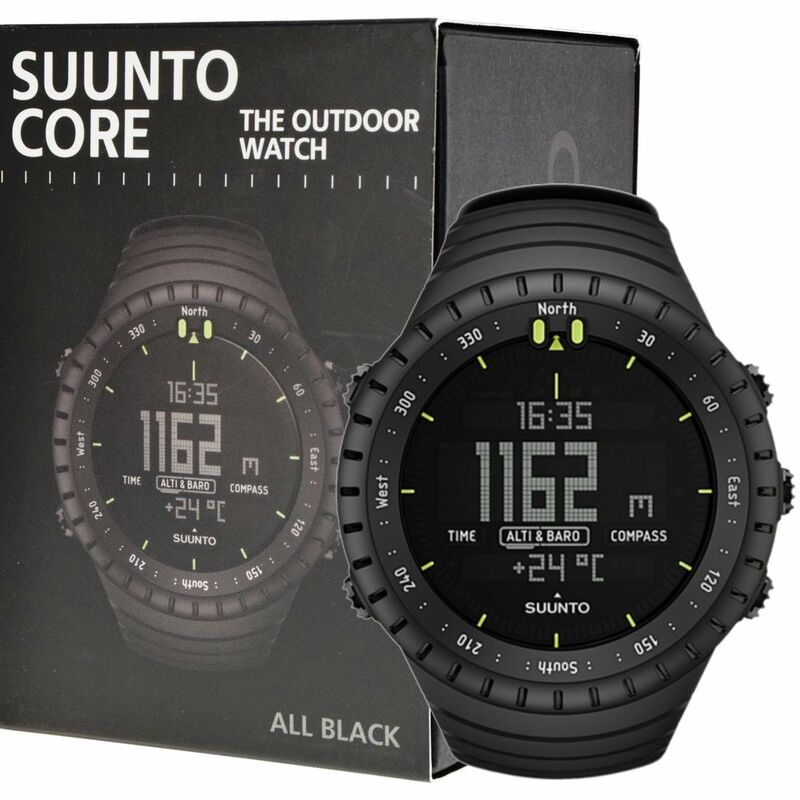 The Suunto Core All Black Military Mens Outdoor Sports Watch is another great watch you can get for under $200. This watch does a good job at keeping the individual informed of conditions while you bike, hike, camp, or take part in any other outdoor activity. For this reason, it is the ultimate companion for outdoor enthusiasts in all fields. To start with, the Core is able to sense an approaching storm, even on those days when the sky looks clear. This is all thanks to the intelligent Storm Alarm – this is one of several different intelligent features this watch has. It is activated by a rapid drop in the atmosphere over a three hour period. Once the core recognizes the change, the Storm Alarm will go off and start flashing, letting you know that something harsh is about to approach. Meanwhile, there’s a built-in altimeter. This is responsible for displaying your current elevation. It shows how much you have climbed or descended and will record your session so that you can look at it later. To within 30,000 feet, it is accurate, making the altimeter an extremely valuable tool for backcountry skiing, mountaineering and wilderness travel. 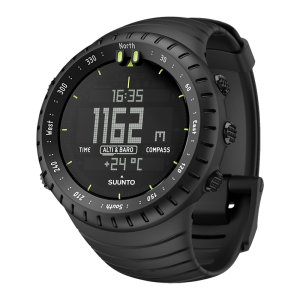 Add in the additional features, like the digital thermometer, barometer, a digital compass and a weather indicator and you will have a nice wrist-top computer for almost all of those outdoor needs. This watch right here is great for low-light or super dark situations. It is said to be able to glow 100 times brighter than the other luminous watches out there, which makes for easier visibility regardless of where you are. This is a nice timepiece that is constructed with a 43.9-millimeter polyurethane case – it matches the durable polyurethane band, which has a buckle clasp on it. The Arabic numerals are eye-catching and stylish. There are smaller white numerals that mark the 24-hour clock. In addition to those features, there’s a date calendar that is sitting at the three o’clock position. All of the data is easy to read on this watch. Responsible for powering it, you have the analog-quartz movement – it’s protected by a durable mineral dial window. US Navy SEALs and US Air Force Pilots prefer this watch. In the end, we cannot forget to mention the fact that it is water resistant to a depth of 660 feet. If you’re into harsh outdoor play, this watch right here would be a great choice. Yes, this watch right here has a hefty price tag on it, but if you can afford it, it’s well worth every penny. This is the first shatterproof scratch resistant high impact resistant glass tritium watch that has been made to withstand abuse. It has a special edition phantom dial that makes this an unbeatable combination. The watch has specifically been designed for firefighters and the police force, but it can be used by anyone who loves the outdoors. It is durable in all types of conditions. Here, you no longer have to deal with badly scratched crystals or broken glass – and as an added benefit, the battery has been designed to last for ten years. The watch is made of heavy grade stainless steel and features a special Black PVD coating. This watch is chunky, thick and substantial. It even comes in high-quality packaging, so it would make a great special gift. Many reviewers have stated that it is flawless and it really is as bright as it says it is. One of them that you may be interested in, if you are into fitness, is the fitness training feature – there’s also an outdoor navigation feature. Some other tactical features include projected waypoints, jumpmaster activity, GPS coordinate data, degrees minute’s seconds and much more. The watch is equipped with ABC sensors in order to offer relevant, real-time information. 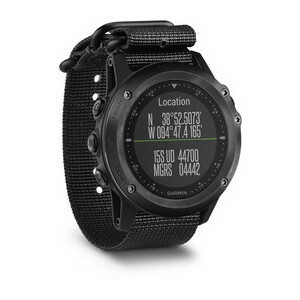 There’s a built-in altimeter that gives elevation data so that the user can monitor ascent and descent data. The barometer can be used in order to predict the weather changes. There’s also a 3-axis electronic compass. Here’s why the watch really stands out from the crowd – the smart notifications. Through these, you will be able to receive emails, texts, and get alerts right on your watch. Even when you’re on the trail. It receives the wireless signal from a compatible smartphone and lets you know you have a message. It displays the text on its own screen when you’re ready to read it. For Special Forces and military operatives, knowing everything about the world around them can make a major difference. A difference between life and death. For the average person, the same note applies. Having easy access to details like altitude, temperature, and GPS location can be extremely helpful. If you are planning on buying a tactical watch, you need to know about the special features, materials and of course, the pricing. In able to determine which tactical watch is best for you, you will need to assess your personal needs as well as your budget.